Compare and contrast these two snaps. 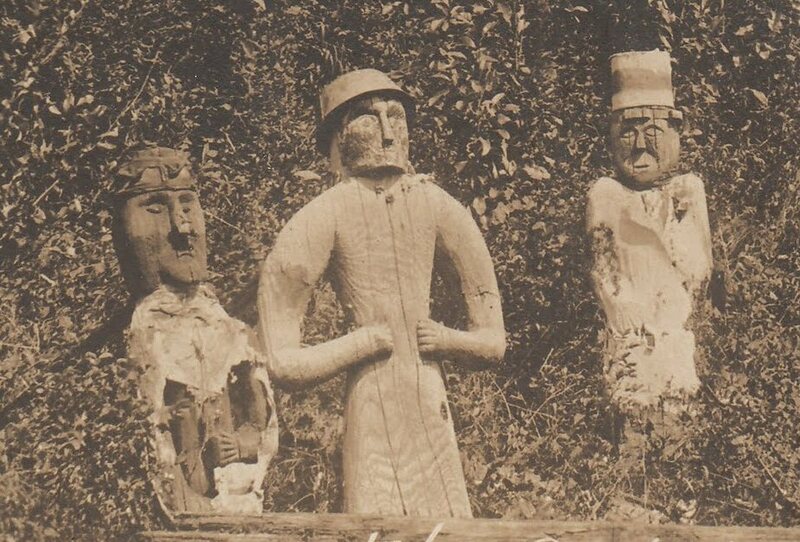 One shows a trio of carvings from an “Indian cemetery” (reportedly), taken in 1900. 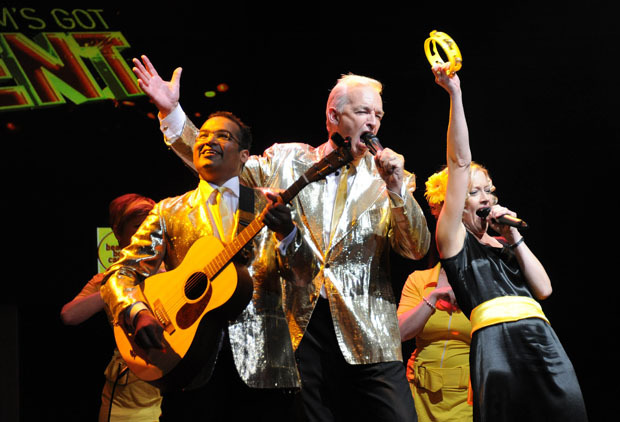 The second shows a trio of Channel 4 newsreaders performing a musical number at a charity event (reportedly), taken last week. The point I am trying to make is that this is the first, albeit flimsy, evidence I have discovered of the cult surrounding bumptious newsreader Krishnan Guru-Murthy. Oh, there are flaws in my reasoning, many, many flaws. But I implore those of you who think I am talking twaddle to watch “KrishGM” (as he likes to be known… why???) very, very carefully in the coming months. The cult has something planned, I am sure of it. I notice how “KrishGM” beams his beatific smile into what seems to be a golden light which shines him alone. I deplore his use of an acoustic guitar though, which smacks of the hippy dippy nonsense that passes for Anglicanism nowadays, and hope his cult features the more dour and foreboding aspect of the first picture.